Thirty years ago, I called you as Philip, when we were celebrating the Star Club at P. Dickson between Singapore and Malaysia then. Today with due respect, I have to address you as my boss. Congratulation for coming a long way. By chances last night while going through the old files, I found something interesting... "Prudential Bulletin February 1983." 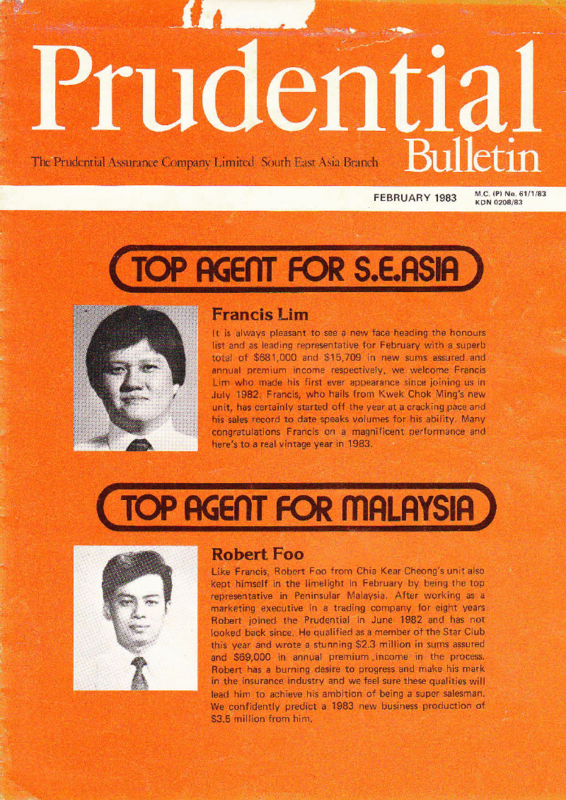 There I saw three handsome young agents, Francis Lim, Robert Foo and Philip Seah. They really touched my soul and heart. Out of the three there, only two still remain with this Number One company, Prudential. The last agent was the greatest, because from a humble agent he rises to be the Boss in Malaysia today. I salute him with joy! 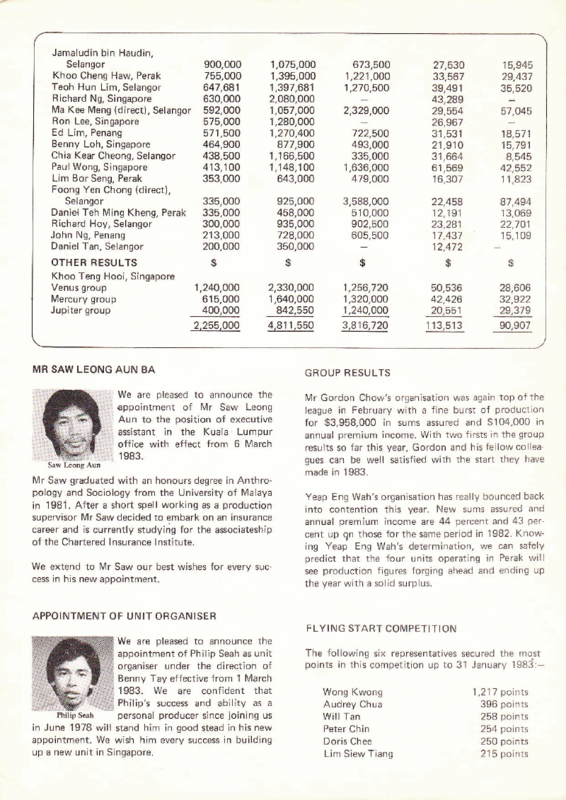 Specially I scanned these pages from the bulletin for you to admire and see to believe how time flies. Thanks God, you and me are still loyal with our faithful company, Prudential. wahhhh....my baby very handsome la....I am sure our boss would be very touched....well done love..
Loyalty needs patience, hard work, determination, persistence and plenty of passion. When the two photos of myself and Philip Seah were posted on our monthly bulletin 30 years ago, we didn't know what would be our outcome in life and destiny, but loyalty proves to be a meaningful and fruitful conclusion. I love my career as a hobby and Philip with his experiences and dynamism manage our company as the CEO two months ago. Time really flies!!!! It was long way for you and team mates. From you post, I noted Mr. Saw Leong Aun. He is now the Group CEO of Rockwills International. Yes! Saw is now a Group CEO for Rockwills. Those days, we called each other as brother. U seemed to know everyone from Prudential young man.